Keith Broyles is the co-leader of Alston & Bird’s Intellectual Property Group. His practice includes all areas of intellectual property litigation and counseling, with particular emphasis on patent litigation, enforcement and appellate work. Mr. Broyles has extensive experience resolving intellectual property disputes involving a wide range of intellectual property issues and technical disciplines, including wireless telecommunications, mechanics, construction products, electronics, computer networks, fluid mechanics and computer software. He has litigated and tried patent cases in federal district courts throughout the country, as well as before the International Trade Commission and the International Chamber of Commerce. 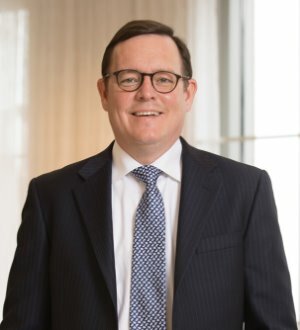 Mr. Broyles has also represented clients in appeals before the Federal Circuit Court of Appeals and has served as lead counsel in numerous inter partes review (IPR) and covered business method (CBM) proceedings before the U.S. Patent and Trademark Office. Mr. Broyles is registered to practice before the U.S. Patent and Trademark Office and, in addition to his litigation practice, has led both ex parte and inter partes patent reexamination proceedings and counseled clients in domestic and international trademark matters.